Understanding who qualifies as an independent contractor can be difficult. This is often a grey area when it comes to insurance, but your workers’ comp and general liability coverages both depend on it. It pays to find out ahead of time who should be classified as an employee and who should be classified as an independent contractor. If you answer “no” to any of the questions in the checklist, then the worker may not be an independent contractor and may be subject to workers’ compensation laws. 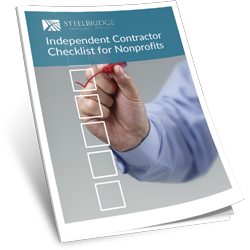 Download this checklist to learn more about what makes someone an independent contractor so you can be proactive and mitigate risk.